Taken from Kyle's Entertainment Reviews Blog here. Was Shakespeare a fraud? Or did he really write all those plays that we have come to know and love through the years? Roland Emmerich's new dramatic thriller Anonymous tackles the idea that William Shakespeare's great works were in actuality written by Edward de Vere, the Earl of Oxford who is brilliantly portrayed in the film by Rhys Ifans. The film's initial concept boasts had the potential to be a gripping political drama filled with romance, sword fights, and betrayal. But what ends up being played out on screen is merely an attempt to create such things, rather than actually succeeding at doing so. The film flashes back confusingly many times to Edward de Vere's(Ifans) childhood and teenage years while continuing his story in his adulthood as well. The story begins when de Vere is discovered as a child prodigy in writing, which then leads him to catch the attention of Queen Elizabeth I(portrayed by Vanessa Redgrave and Joely Richardson). But when theatre is deemed as sinful and is banned, Edward is forced to write in secrecy, using a young poet, Ben Jonson(Sebastian Armesto) to pretend that de Vere's works are his so that he can still have his plays performed at the Globe Theatre. But when the first play performed is a hit, de Vere and Jonson's plan goes awry when a stage actor, William Shakespeare(Rafe Spall) takes the stage to claim that the work of theatrical art is his. What then ensues is a series of cover-ups, as de Vere continues to conceal his authorship while his former lover, the Queen is dealing with the fact that she is getting old and must pass the crown down to someone else. As previously stated, the film's plot had the potential to be a huge hit, but the lackluster screenplay written by John Orloff started out strong and promising but quickly withered away as the film progressed. 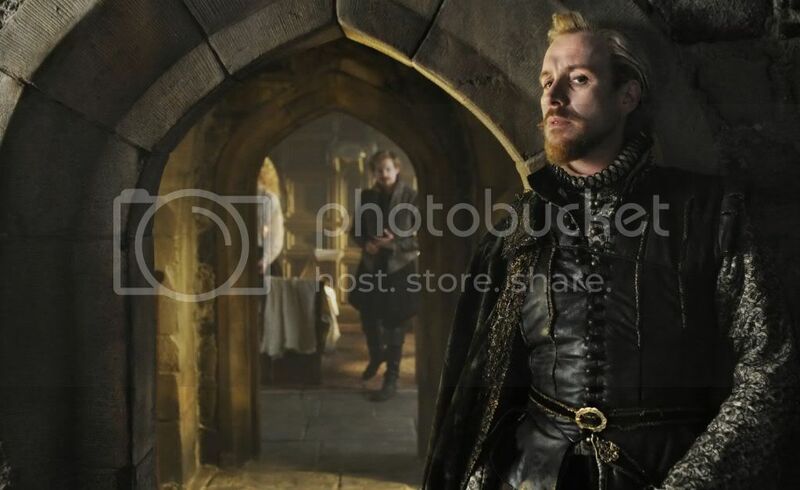 Praise should be given to the spectacular cast, especially Rhys Ifans as the genius Edward de Vere. Ifans stole the spotlight in every scene that he was in, and was supported by a talented cast which includes Vanessa Redgrave as Queen Elizabeth I, Sebastian Armesto as Ben Jonson the poet, Jamie Campbell Bower as the young Edward de Vere, and Joely Richardson as a young Queen Elizabeth. Sir Derek Jacobi also stars as a Narrator, who opens and closes the film on a modern stage in present day New York City. Staging the film as if it was a Broadway production was brilliant, and made for a smooth transition into the tell-all about Shakespeare's works. But once in the Elizabethan era, the uninspiring plot will more than likely irritate Shakespearean fanatics, and blow over the heads of those who are unfamiliar with Shakespeare's history and works. While it was a nice attempt at creating a film out of a theory that is supported by little to no evidence, Anonymous simply felt flat and dull. Anonymous opens in limited release October 28, 2011.